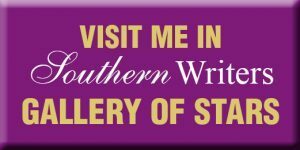 In Sanctuary, my premier Southern mystery, readers are introduced to the quaint, time-lost South Georgia town of Shiloh. The story begins as Theo and his wife Liddy desire to relocate and retire back to their country roots, after investing four decades of their lives in the shadows of Atlanta. According to the story, it is Liddy who discovers an advertisement for a quaint Craftsman home that convinced her Shiloh would be a perfect fit for them. But, it’s what readers sense early on as they arrive in Shiloh that draws them into the story? First of all, Shiloh’s reputation paints a serene picture about this time-lost town, but like its namesake from biblical lore, reputation and present reality are subject to the whims and shortcomings of men. Like the Shiloh of old, Sanctuary reveals this once proud town had lost its luster and position as the county seat decades earlier. Alexandria, like Jerusalem in biblical lore, surpassed Shiloh as the center of power and influence, leaving the proud people in Shiloh with their beautiful, antebellum courthouse on the town square a victim of progress. According to the story, Alexandria blossomed during the post-WWII boom and expansion in Georgia, while Shiloh stagnated and struggled, not much different from many real-life rural towns in South Georgia. Shiloh’s conciliation arrived as its beloved courthouse received a facelift and interior redesign to make it into a functioning city hall. However, the facelift and remodeling of the sesquicentenary courthouse left the edifice’s skeleton of 19th Century hewn timbers and ornate woodwork in tact. 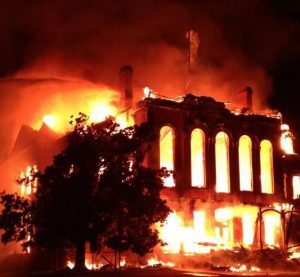 Decades later, their beloved historical courthouse would be razed to the ground and steal away the life of a town hero, who rescued others from the growing inferno. Biblical Shiloh became the first seat of governance once Joshua and the nation of Israel completed their conquest of the Promised Land. The ark of the covenant and tabernacle that had traveled for forty years found a seemingly permanent resting place in Shiloh. Israel’s priests and judges (leaders) established Shiloh as the central seat in the Promised Land until Israel felt unsettled about the way Israel was governed, and desired to be like the other nations. Not long after Israel turned to the rule of king’s, rather than priests acting on God’s behalf, Shiloh fell victim to King David’s selection of Jerusalem as his site for his palace and the building of the new temple. A rival army burned and ransacked Shiloh not long before David ascended the throne as the second king of Israel. However, he turned his back on Shiloh and chose Jerusalem for his palace. The name Shiloh to this day still paints a different picture than the historical reality which its namesakes have experienced. One of the bloodiest and decisive battles fought during the Civil War became known as the Battle of Shiloh, in Tennessee. Even the Hebrew origin of the name Shiloh means “place of peace,” but as history revealed, “peace” requires the cooperation of men to live up to the expectation of maintaining peace in their community. 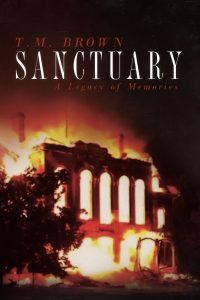 Sanctuary and its sequel play on the dichotomy of Shiloh’s reputation and the reality of its present state as Theo and Liddy soon discover upon their arrival to Shiloh that there’s a rift in the tranquility of the community. All good fiction has its roots deeply planted and nourished in the soil of truth and reality. The settings and characters in our novels do spring ex-nihilo (out of nothingness). Good novels blur the lines between what is fact and fiction allowing the reader to enjoy the totality of the story as though it is real. Nothing brings a smile quicker than to be asked where is Shiloh, I want to go there. 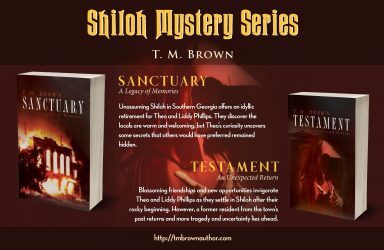 Newly retired publishing executive, Theo Phillips, and his wife, Liddy, decide to leave the shadows of Atlanta behind and return to their South Georgia roots in time-lost Shiloh. While making new friends, Theo’s interest in a memorial launches him smack dab in the middle of scandal and dark secrets. 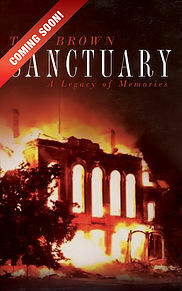 As Theo digs deeper into the mysterious fire that stole the town’s landmark courthouse and a town hero, he and Liddy’s retirement dreams take a turn that could unravel both them and the idyllic life they and many others look for in Shiloh. Testament, An Unexpected Return (coming March 2018) – Cover release, February 9th. Mike, to all his friends, is a Southern boy at heart, although he’s lived and traveled in many states far removed from his beloved boyhood roots in Georgia and Florida. 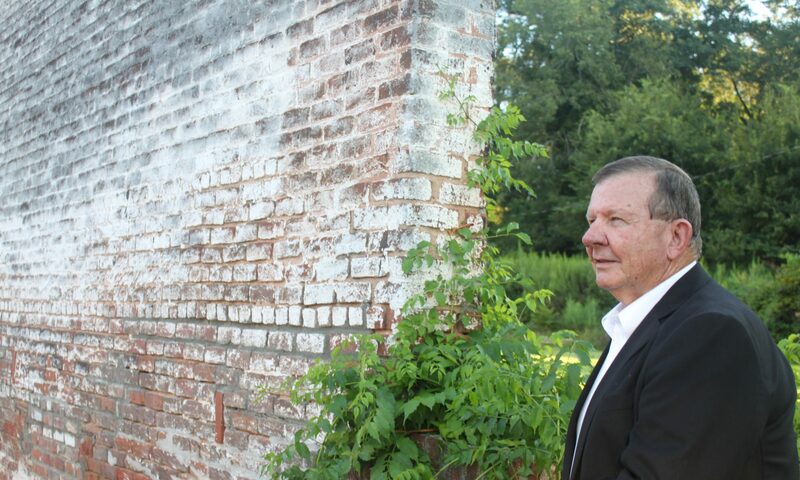 He returned to his Southern roots several years ago while his two sons were still in school and regularly traveled throughout the South before returning to college shortly after his youngest son graduated. 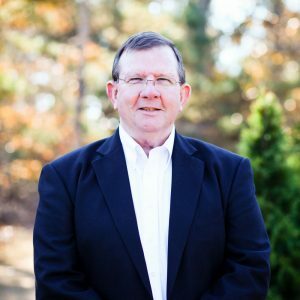 In the last fifteen years he has preached, taught and coached in Alabama, Georgia and Florida until his wife and he moved outside of Atlanta and retired to write, travel, and spoil grandchildren. Knowing the answers to the key Why questions grow your confidence as an Authorpreneur, which will help navigate you through critical choices all authors face. There are no shortcuts the necessary dedication, discipline, and determination to reach the desired destination you envisioned when you first began writing your book(s). There are two aspects of the Why behind the writing you must become confident about, which will ultimately motivate the What behind your creative endeavor. First, internal motivation – Why invest the time and resources to write, publish, and market your book(s)? Authors often find the company of frustration, doubt, and fear as they struggle to create, shape, and perfect their manuscript. Trees moan as countless crunched and torn pages find their destiny in the cluttered graveyard, ergo the wastebasket. Doubt becomes the writer’s harshest critic. So, why endure the torturous, lonesome ordeal to overcome the self-induced obstacles and dead-ends? Why persist and suffer to only surrender your manuscript to the critical scrutiny of others? Why choose to invite the critique of others after all those weeks, months, even possibly years of self-flagellation? The author’s journey is fraught with negativity, but beyond the naysaying, a ready-to-be-shared, worthy-for-primetime manuscript emerges and seeks the favorable eyes of an agent and publisher to get it transformed into a marketable book. More roadblocks spring up as hard-decisions arise to satisfy the fickleness of the market every book today faces. 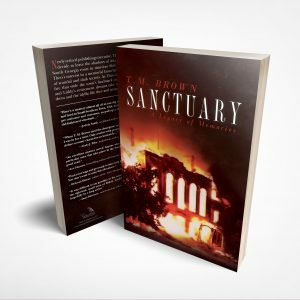 Book cover design, interior layout, additional book content, promotional media, etc. are all thrust upon the author, though all the while he or she trudges forward ever hoping to get their manuscript finally published. The final leg of the journey rests in the hands of an audience the author most likely will never know by name. Here the fate of the author’s motivation rests. Is the Why that first galvanized thoughts into words destined for public consumption unaltered and unshaken? If so, the external manifestation of the author’s motivation takes place with confidence. Second, external motivation – Why will others invest time and resources to help write, publish, and market your book(s)? With very few exceptions, authors cannot succeed without help along the journey. Sooner or later, others are needed to complete the quest of an author to transform a perceived idea into an audience-welcomed book. Consider all the different professionals, business people, and ultimately various members of the audience seeking to invest time and resources in the book. An author’s team effort requires sharing with editors, agents, publishers, book reviewers, bookstore owners, book clubs, virtual and printed media, and ultimately the consumers or audience seeking to read the book. What about your book will pique the curiosity of others? What is the takeaway that will captivate others to invest their time and resources? Ultimately, what about your book will cause someone to write a glowing review and recommendation to spur others to do the same? Authropreneurs can spout without hesitation a concise reason that defines their Why that motivated them throughout their literary odyssey. They also can share the What that will galvanize others to want to read, review, and ultimately recommend their books to an ever-expanding audience. 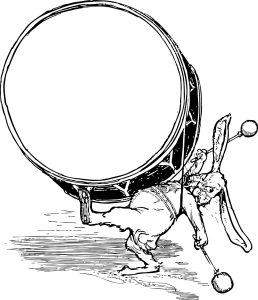 Authorpreneurs are not modern Don Quixotes spurred on by overly idealistic, unrealistic, and impractical notions. Rather, they are modern King Arthurs surrounding themselves with gallant knights eager to promote Camelot to its inspired audience. 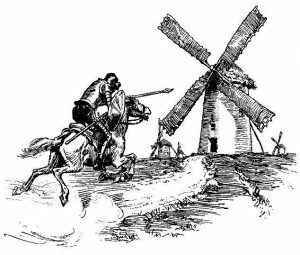 There’s a place for Don Quixotes in today’s world, but when you have a message to share in your book isn’t King Arthur’s Camelot approach more likely to achieve the outcome you first desired when you began writing? Why not become a King or Queen Author and reconstruct the modern Camelot tale? Revised 2nd Edition, January 2018, Palmetto Publishing – NOW AVAILABLE ON AMAZON! Are you banging your drum? An Authorpreneur accepts there are no shortcuts around dedication, discipline, and determination to reach the desired destination you first envisioned when you began writing your book(s). There’s a vast population of good books heaped upon the pile every day that the author abandoned to the winds of chance and opportunity to promote and sell their books. Then there are likewise scores of success stories in the publishing world about authors who made the best-sellers lists, but when you examine their books, you wonder why yours didn’t succeed. The answer to the why is tenacity – they persisted and persevered while others threw their hands up and walked away. 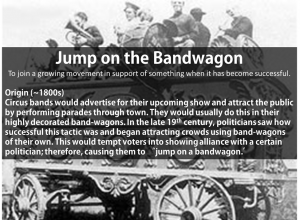 They fixed anything broken but kept forging ahead until their book built the momentum that launched the bandwagon syndrome. Once the bandwagon begins to roll, no one wants to be left out. That’s when the magic happens, and promotion and marketing of your book become fun. Why do folks race to follow the bandwagon?? Authorpreneurs understand the value of hype and hysteria to draw people to open and then purchase their books. However, don’t stir up unwarranted hype and hysteria to get attention, because that can cause irreparable harm. 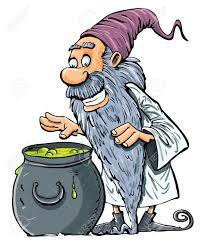 Stir up the gradual, crescendoing din of growing interest in you and your books. As the noise increases, more and more people will be encouraged to comment on and suggest your book to others. Favorable crowd noise is your friend, but don’t ignore any negative buzz among the din of whispers. Snuff the buzz by addressing the growing murmurs. You’ll never silence all negativity; listen and decide the warrant for their objections, and then take action. Do you remember why you chose to write in the first place? After experiencing all the twists and turns along the publishing journey, you can lose sight of why you decided to become an author. Compromise is the first side-step toward seeking a shortcut. Turn deaf ears to promises of alternative paths that sound too good to be true. The only truth will be those promises will cost you your dream and your pocketbook. Neither bribery nor ransom can purchase the success you first envisioned. Only patience, persistence, and perseverance can redeem the price of success. Remember the WHY of your journey; it is the secret sauce that fuels your internal drive as an author. No one will bang your drum like you, and no one can get your book’s bandwagon rolling but you. The Secret Sauce Key Ingredient: Confidence in Yourself! No matter what discipline you have invested your valuable time and effort throughout life’s journey, Your invested Preparation and Perseverance have nurtured Self-Confidence, the key ingredient in your Secret Sauce to success as an aspiring author. Fact of life: Wallflowers never make it to the dance floor – their shyness shuns potential dance partners away. Wallflowers feel awkward and unsure, and prefer watching rather than dancing at a party. Some Wallflowers only bloom when secluded and alone, but who gets to enjoy the beauty of a solitary wallflower? Blossom into a multi-dimensional AUTHORPRENEUR. First of all, an Author is someone who writes books as a profession. And, an Entrepreneur is a person who organizes and operates a business, taking on greater than normal financial risks in order to do so; a promoter in the entertainment industry. Therefore, an AUTHORPRENEUR would be someone engaged in writing books as a profession with a business-like mindset willing to accept greater than normal financial risks in order to be successful – ergo, also a self-promoter in the literary entertainment world. Let’s face it, for an AUTHORPRENEUR, writing books is no longer considered an avocation, but a vocation. Success is measured by the numbers of books sold versus royalties earned, minus out-of-pocket costs. Those happy to continue writing as an avocation – a hobby or minor occupation – will be content just watching others on the dance floor. They don’t get flustered by their lack of sales and royalties. They justify their time and investment as self-satisfying. However, those desiring to grow their writing into a vocation have a strong feeling of suitability for becoming an author (a writer of books as a profession) and desire their books to be regarded as worthy and of value to others, and are dedicated to not only writing but also promoting what they write. Proverbs 27:17… As iron sharpens iron, so one man (or woman) sharpens another. Does your network of like-minded authors inspire and encourage you? Is your platform or audience engaged and eager to invest in your books? Eccl 4:12… Though one may be overpowered, two can defend themselves, but a cord of three strands is not quickly broken. Have you built a strong team, i.e., editors, writing coaches, critique partners, and others as needed to produce and promote your book(s)? Proverbs 15:22… Plans fail for lack of counsel, but with many advisers, they succeed. Writing a compelling book is hard enough, but what thoughts have you given to the process of publishing and promoting your book? John Donne wrote: No man is an island, entire of itself. Every man is a piece of the continent, a part of the main… therefore never send to know for whom the bell tolls; it tolls for thee. An AUTHORPRENEUR understands the risk of attempting to be an island in the sea of books that are flooding the market every day! An AUTHORPRENEUR understands the splash needed to create a ripple effect that will cause his or her book to stand out and get noticed. Are you stuck with your back to the wall at the dance – a Wallflower, never reaching the dance floor? Or, are you ready to dance in the spotlight? More tidbits about AUTHORPRENEURSHIP to follow… You can also look to a future workshop in your area.